Before his death, Harry Houdini makes a promise to his wife, Bess: No matter what happens, he'll find a way to reach her from the afterlife. After failed séances and numerous fake messages from con artists trying to take advantage of the grieving widow, Bess nearly gives up her search. 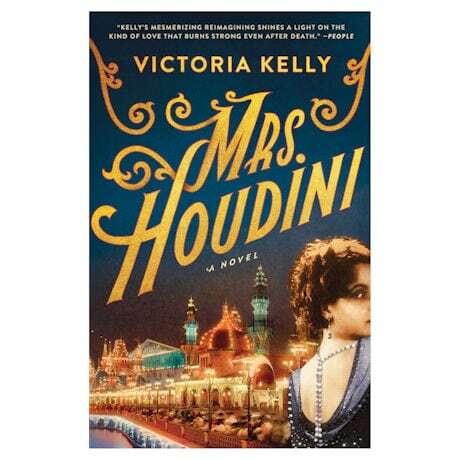 But when coded messages from the Houdinis' time on the stage begin appearing in photographs, she meets the young photographer, and together they search for answers to Houdini's last—and greatest—trick. With a sparkling narrative that follows the Houdinis' fin de siècle whirlwind romance and career, through Bess's struggles as a widow in the Roaring Twenties, this dark and dazzling novel will keep you guessing until the very end.